Located up a private driveway, this property epitomizes the very essence of Melling Morse architecture. The use of materials, interesting angles and celebration of natural light makes this property a true delight to explore.Our clients have thoroughly enjoyed 22 years of occupying this very special home and developing and cultivating the wonderful garden oasis that exists today. Incredibly private, this unique home offers a wonderfully creative environment, with bedrooms and living areas carefully arranged over several levels. Relaxing moments can be found in the peaceful courtyard, or more energetic moments spent in the vege garden or amongst the variety of well considered plants on the hillside garden. 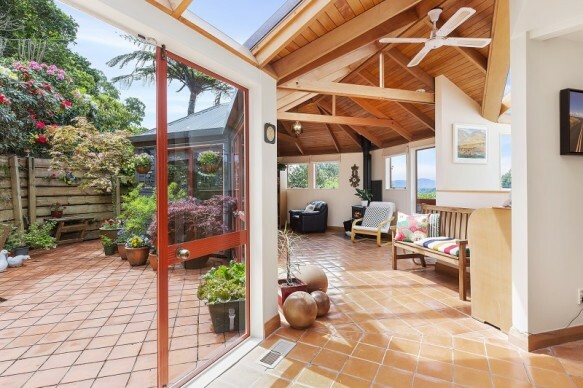 Located in city end Karori, this home is zoned for Wellington Girls and Boys College, is only a short drive to the CBD and close to handy public transport. Don't miss this rare opportunity.